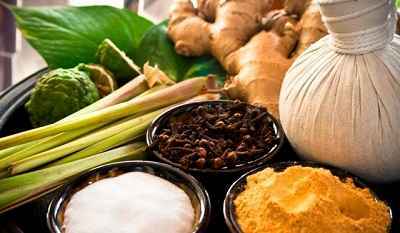 Ayurveda is not a medical system that addresses only diseases. 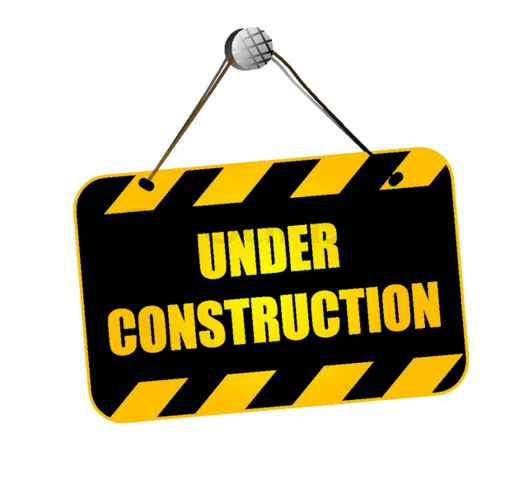 The first and foremost aim is to preserve the health of the healthy. The three humours function as pillars supporting the body. The derangement in the humours causes illness. The natural constitution (Prakrithi) of an individual and deranged state of the body in an illness (Vikrithi) are expressed with respect to Vatha, Pitha and Kapha. Medicines and herbs are grouped based on its effects on the humours. Panchakarma is an Ayurvedic treatment classified as elimination or purgation therapy. An intensive and purifying curse of treatment, it is offered in its highest quality. Panchakarma consists of five types of treatment to cleanse the body of toxins, restoring it to a state of purity and balance. 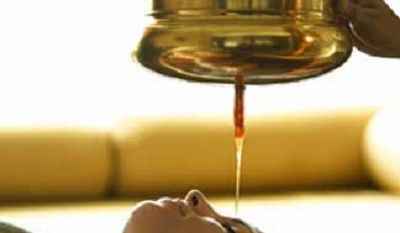 Abhyanga or uzhichil is the special kerala type of oil massage done by one or two persons. For that suitable medicated oils for the body and the head are selected according to the condition of the person. The body oil can be warm or in room temperature accordingly and the head oil is mostly in room temperature. This is done for 45 minutes and suitable for sick and healthy alike. This is also mentioned in ayurvedic daily routine before a daily morning bath. The warm oil applied on the skin get absorbed through the skin cracks and inter-cellular spaces. The warmth of the oil and the hand movements during the massage helps to increase the peripheral circulation. This will enhance the absorption of the active ingredients in the oil through the blood and lymphatic circulation. The active ingredients will be transferred to the target organs accordingly. This is a method of head packing in which the hair and the scalp will be covered with suitable herbal pastes depending on the condition. At first suitable oil for the head will be applied on the scalp and hair and then the paste. On top of the paste a tender banana leaf will be tied to cool the head and to prevent drying of the paste. After a specific period of time the paste will be removed and the head will be washed. At the same time suitable oil on the body can be applied to sit for 45 minutes till the paste is kept on the head. The commonly used paste contains dried gooseberry pulp made in to a paste with medicated buttermilk. Depending on the condition other herbs can be also added. The pack imparts a little heat on the scalp and there by giving a sweating effect to the scalp. This improves the blood circulation on the scalp and helps to absorb the active ingredients present in the herbs. These stimulate the peripheral nerve endings and others get absorbed through the hair follicles. In degenerative diseases of the cranial nerves etc. 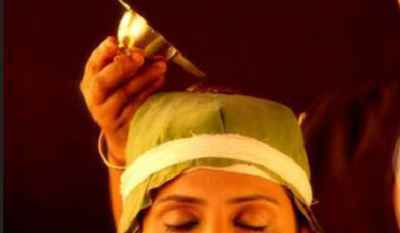 A type of oil application on the head in which medicated oil is collected on the head inside a leather cap. This is the best method of oil application on the head. This is specific for many of the diseases of the head, sense organs, nervous system and spinal cord. The temperature of the oil should be kept uniform through out the process. At the same time the body of the patient will besmeared with a suitable oil and a gentle massage will be done, especially on the neck and shoulders. The warmth of the oil of the head will increase the peripheral blood circulation on the scalp and there by promote the absorption of the medicaments through the hair follicles and vessels. By stimulating the nerve endings below the scalp it will act on the effecter organ on the head and body. Diseases of the spine and vertebrae etc. Elakizhi or Pathrapotala swedam is a type of massage done by bundles or cloth bags filled with herbal leaves and some other ingredients. Compared to uzhichil (oil massage) this one is stronger as the bundles are applied or pounded on the body. 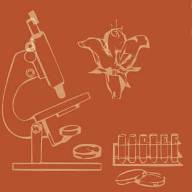 The type of leaves or the other ingredients can be variable depending on the condition of the disease. The leaves are cut in to small pieces and fried in neem oil or any other suitable oil with the other ingredients and tied in 4 cotton cloth pieces to make the bags. These are usually warmed in neem oil or castor oil through out the massage. This massage is usually done by 3 persons and for 45 minutes. After the massage the patient is allowed to take rest for a few minutes and later a hot water bath is given. After the gentle body massage, the warm bundles are applied all over the body from neck to the legs. Special care should be given on the joints and muscles where ever pain and inflammations are present. As the herbs present in the bundles are anti-inflammatory in action, they have an affinity towards the weak muscles and joints. With the warmth of the bundles and the pounding of them on the affected part the peripheral circulation will be increased and it will help to enhance the absorption of the active ingredients. In all types of joint diseases. Rheumatoid arthritis and other types of inflammatory arthritis. In paralysis of the body parts. Diseases of the spine and lower back etc. Siro dhara using medicated oil is called Thailadhara. For this different types of medicated oils can be used depending on the condition of the patient. At first suitable oil for the head and body are applied and a gentle massage is done on the body. Then the patient is laid on his back to get the flow of the oil on the forehead. This is continued for 45 minutes and at the same time a gentle massage is done on the body. 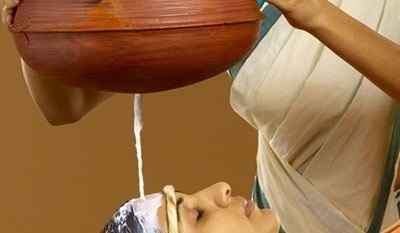 After finishing the dhara the patient is allowed to take rest for a few minutes and then a hot water bath is given on the body and special medicated water is used for head bath. The medicaments present in the medicated oil get absorbed through the scalp and hair follicles. These will be effective for diseases of the body and head alike. A localized treatment in which warm medicated oil is kept on the affected part inside a boundary made of black gram paste. 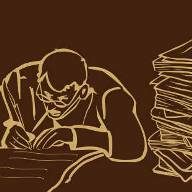 This is usually done on the back- kateevasthy, on the chest- urovasthy,on the back of the neck- greevavasthy and on the head sirovasthy. These are very effective for the localized pain, stiffness and inflammations. The warm oil over the affected part improves the blood circulation and the medicaments get absorbed to the effecter organs. The oil relieves the pain and stiffness by its localized action. It nourishes the degenerated joints also. 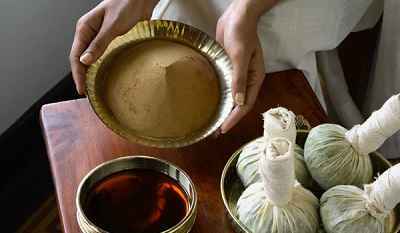 Podikizhi or choorna pinda swedam is a type of bundle massage in which the bags are filled with herbal powders. Compared to uzhichil (oil massage) this is stronger as the bundles are applied or pounded on the body. The type of powders can be different depending on the condition. The herbs are made in to coarse powder and warmed in a dry pan and tied to bags in 4 cotton cloth pieces. These are usually warmed in neem oil or castor oil through out the massage. This massage is usually done by 3 persons and for 45 minutes. After the massage the patient is allowed to take rest for a few minutes and later a hot water bath is given. The application of warm bundles on the skin improves the peripheral circulation and there by enhancing the absorption of the medicaments through the blood and lymphatic system. Most of the herbs in the powder are anti inflammatory and pain relieving, so they will get absorbed in the affected joints and muscles. The warmth of the bundles helps to relieve joint stiffness and pain also. Sirodhara using medicated milk is called ksheeradhara. Pure cow’s milk is medicated with herbs like sanadal wood, camphor, vetiver roots etc. This is flown on the forehead of the person after a gentle massage on the body and oil application on the head. The temperature of the milk is made lukewarm in the beginning and then maintained as room temperature through out the process. Along with the dhara a gentle massage on the body is also done through out the 45 minutes. After that the head of the person is wiped well and the patient is allowed to take rest for a few minutes. Then hot water is used for body bath and luke warm medicated water is used for the head. The medicaments applied on the head get absorbed through the scalp and hair follicles. 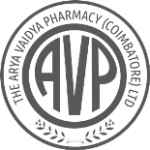 These medicines will act on the body and head according to the disease condition. The gentle movement of the flow on the fore head helps for relaxation and imparts good sleep. 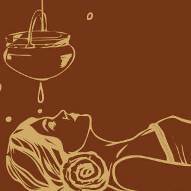 Avagaham is a method of sweating for which the patient is seated in a tub full of hot herbal decoction. According to the condition of the disease suitable medicated oil can be applied on the body prior to this. The aim of this treatment is to sweat the body and there by making the vata moving in its own root. 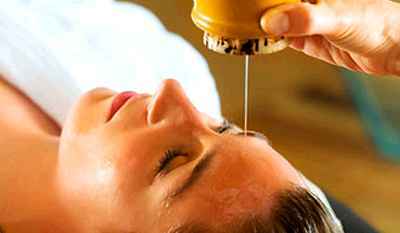 It is a method of preparation for the cleansing treatment or the panchakarma. The oil application and the thorough sweating of the body help for the expulsion of the toxins from their bonded sites very easily. Because of the sweating it gives relief for the pain and stiffness of the joints and the back.